Jethro Kloss was the son of northern Wisconsin farmer, and a very famous herbalist. Born in 1863, he was raised on self-sustaining farm in the late 19th century. Believing health came from remaining close to the Earth, his family worked to forage, produce, and provide for all their needs. Once Dr. Kloss moved away from home, he fell deathly ill and sought the care of many doctors. His health was only restored and revitalized when he returned to the natural God-given remedies found in nature. His book Back To Eden has completely transformed my view on health promotion and disease prevention. This self-proclaimed autobiography and journal of personal experiences will grip you from the foreword on. If you are interested at all in simple, old-fashion, sustainable remedies I highly suggest you purchase a copy for your own library. Directions: In 1 quart glass jar combine all of the powders. 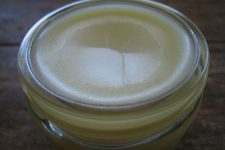 Pour rubbing alcohol over herbal powders to fill jar, leaving 1-2 inch head space. Mix thoroughly. 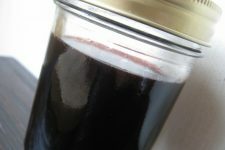 Place lid tightly on jar and let mixture stand in a warm location. Let jar stand for at least 4 weeks, shake well every day. After 4 weeks strain liniment well using a piece of cheesecloth and re bottle. Note: Be sure to clearly label For EXTERNAL USE ONLY. 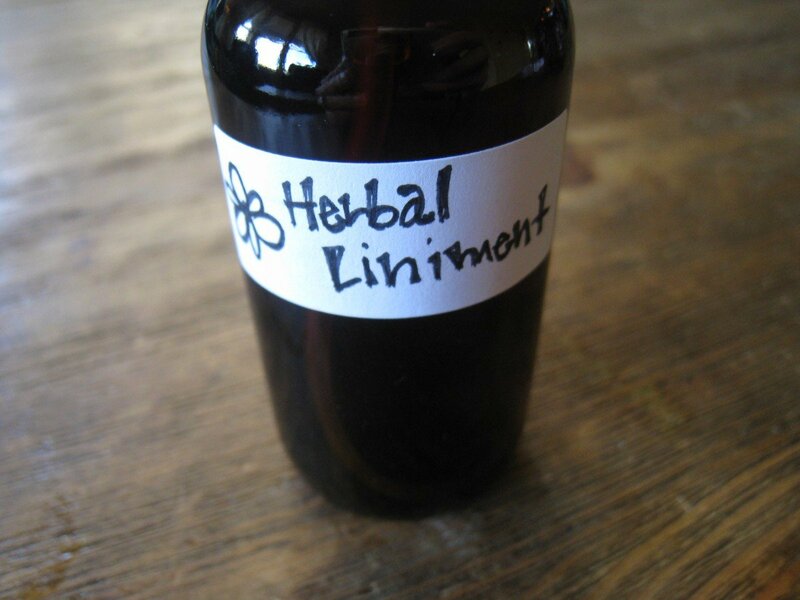 Dosage: Apply the liniment every few minutes for an hour or two in acute instances. Otherwise, use freely until desired results are achieved. 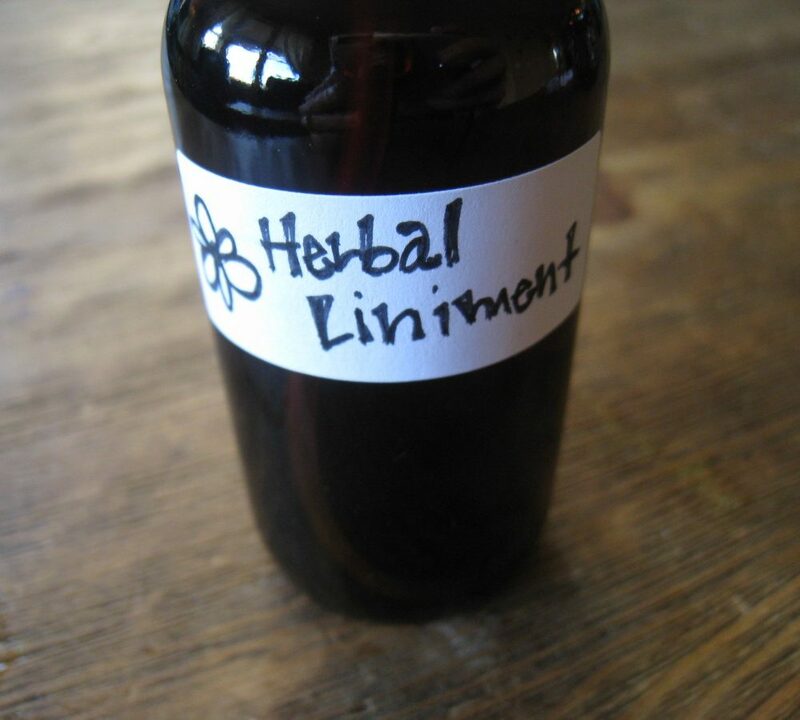 The herbs necessary to make this liniment can be purchased from Mountain Rose Herbs. -I like to re bottle my liniment in 2-4 ounce spray bottle for ease of use. -This liniment is so powerful it will stop a stye from developing on the eye. Simply apply to the exterior lid with a saturated q-tip until resolved. Take care not to get it in the eye. – By applying the liniment to the temples, back of the neck, and to the forehead it can be used as an excellent remedy for a headache. -Spray on to painful and swollen joints to relieve the symptoms of arthritis. -Treat a toothache or sores in the mouth by saturating a cotton ball with the liniment and then cleaning the mouth with the medicated swab. Focus on the area surrounding the toothache/mouth sore. Take extreme caution not to swallow the liniment; spit it out. I haven't heard of that before, I learned a lot from this post! Great recipe to keep in my folder! This is a great remedy! It sounds like something I would like to make. I have to buy the book, Back to Eden. Thanks for sharing on Living Well Blog Hop. We have been using Kloss's Liniment for everything around our house. My kids think it is the wonder drug. My daughter got a stye in her eye last week and I remember reading this post earlier and we put the liniment on her eye with a q-tip and it was gone within the hour. THANKS! I just happened across this recipe in Family Herbal this morning. Have you ever tried subbing chaparral or Oregon grape root for the goldenseal? I try to limit my use of of it, both because it's expensive and because it's such a threatened species. I use Everclear, which is 180 proof, in any recipe that calls for rubbing alcohol, including household cleaning products. After reading Hulda Clark’s “The Cure for All Cancers” I just figured better safe than sorry. I’m curious about the use of goldenseal, I’ve heard it can cause miscarriage. Wondering if this is true and if it is, what other cautions there are, other than keeping it external. I remember a time when we made tofu from the Back to Eden book. We had never seen tofu before (and I don’t believe Kloss called it tofu, it was soy cheese) It was not easy to make when there was not even a picture of what the finished item was supposed to look like. I laugh thinking about us standing at the sink saying “Is this it?”. (That was around 1972.) We also smoked a good deal of lobelia thanks to info in that book. (They removed lobelia in some later editions but then returned it in even later ones). Just last week my puppy chewed a few back pages from my copy and I thought I really should order a new copy of this book even though we now have thousands of books and websites to get this info from. I love to see people doing these things that we were considered “extreme hippies” for doing, natural, sustainable and healthy living is finally in style. Hallelujah!! If you make it with ACV (apple cider vinegar) – it can be used as a mouthwash, too. Hey, the photo is my kitchen. Hmmm… Oh yeah, I took that. Photo credit? Total rookie mistake…I’ve learned a lot about blogging over the past few months 🙂 Time to go through the posts and clean them up. So sorry about that John. All fixed now! Thank you for bringing that to my attention. Can I do a quick method infusion on this one? Like a crock pot or stove top infusion? Does it matter what kind of echinacea powder is used? The MRH catalog has angustifolia root, purpurea herb and purpurea root powder available. Thanks. Never use rubbing alcohol, or have it in your home! It should NEVER be put on the human body, its deadly, and will built up in your body from topical application, as well as lead to vision loss and even blindness! Please always use distilled grain vodka instead! I know a 7 year old boy who finally passed away 2 months ago, after drinking a small amount of Rubbing alcohol last year…….which led to several organs to fail, and there was nothing the doctors could do! A friend directed me to your blog, which looks very cool. I love the Kloss’ liniment, have used it for years. I have never worried about how long it would last, as my other tinctures stay good for years. However, I’ve never had a chance to find out, because it gets used up on a regular basis! I like to make mine with 100-proof vodka, as then I don’t have to worry about if it gets ingested accidentally, and also commercial rubbing alcohol is, I think, made from petroleum. I use barberry root or Oregon grape root, as they aren’t endangered. I harvest my own barberry root, making it both frugal and sustainable! and actually was able to harvest some Oregon grape root last year, even thought i live in the East where it only grows ornamentally. 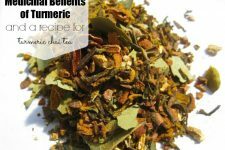 I use goldenseal if I have it on hand, such as having been given some. This is a Godsend! Would like to get on your e-mail list.